(ANF) The YPG drove ISIS from around the town of Jezaa yesterday following weeks of heavy fighting in the area. According to a report released by the YPG press center, 36 ISIS fighters died in clashes over the previous two days. ISIS forces first began their attack on the town on August 19th. The goal of the attack was to break the security corridor that the YPG had established between Sinjar (Şengal) and Rojava following ISIS advances in the region. ISIS brought reinforcements from Dera Zor and Hol in order to assault Jezza,where they met fierce resistance from the YPG and YPJ. On August 30th, the YPG launched a comprehensive operation lasting 11 hours. In the course of the operation they liberated the village of Kaxurtî as well as the village of Ercê along with five nearby hamlets. 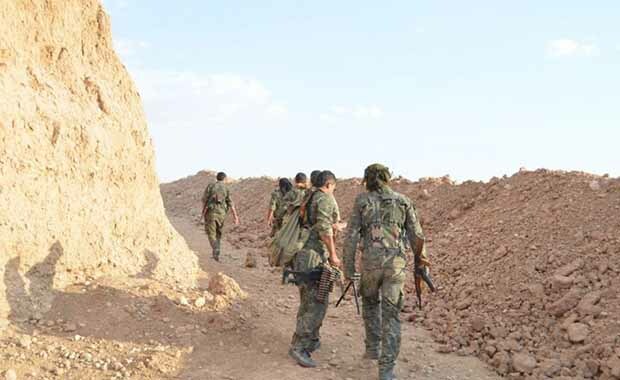 The YPG also targeted grain silo that had been under the control of ISIS and four ISIS bases in the vicinity of Jezaa. Operations to retake the villages of Sefanê and Ekreşê continued into the next morning. However following the fighting both villages had been liberated and the YPG also captured the grain silo and the four ISIS bases. 36 ISIS fighters are reported to have been killed in the operation, with 8 bodies recovered by the YPG. YPG forces also captured a large quantity of military equipment. 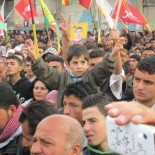 The YPG did not suffer any losses in the fighting. This entry was posted on September 1, 2014 by --- in Uncategorized and tagged Cezaa, ISIS, Islamic State, Jezaa, Kurdistan, Rojava, Syria, YPG.